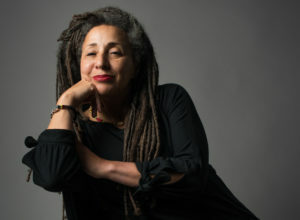 Jackie Walker is not the only member to have suffered from this cavalier attitude to due process and natural justice, though hers is perhaps the most egregious case. Why have those in positions of influence within the Party who have access to the megaphone of the mass media not been reined in? Why indeed have they not been charged with bringing the Party into disrepute, which they have surely done? It does not bring the Party into disrepute to criticise a deeply flawed definition of antisemitism. It does not bring the Party into disrepute to call for the Party to live up to its principles and abhor all racisms without gradations of importance, all holocausts without exception. What brings the Party into disrepute is to suppress free expression in order to appease the powerful. I don’t understand why such an obvious biased and unfair process is allowed to take place. It is quite clear what is going on here and that is anybody who is critical of what Israel is doing and critical with how accusations of anti semitism is being used to stop such criticism are being removed. This is not justice and is damaging to the Labour party. I am not shocked but am very disappointed. All part of the plot to stop Corbyn getting power.Who has the most to lose if Corbyn gets power? Blair must be worried about visiting the Hague and a few others involved in the invasion of Iraq. I completely agree with you on this and I hardly believe that it is happening. Perhaps there should be a court action. I would certainly donate. Horrified! My last period of membership ended after I appeared as a witness for Dave Nellist . I’m wondering whether there’s any point. Jezza, this has happened on YOUR watch! Utter disgust at this action! The Labour Party is becoming a project only for right-wing Secular Zionists who are making Antisemitism a method of reducing the membership of all those that genuinely believe in human rights. I remain on the verge of resigning out of outright embarrassment! Utter Disgrace! Will they expel all Jackie’s supporters too? Along with our popular leader Jeremy Corbyn? I joined the party because of JC’s high principles. Who or what is the “Labour Party” that indulges in such antisocial & antisocialist proctice?? This is the zionists inside the party. Don’t let them have their way. We are the Labour Party and WE have not expelled Jackie Walker. Solidarity! See below for a brief extract from an interview with Hajo Meyer (born August 12, 1924 – 23 August, 2014), a Jewish-German-Dutch physicist and political activist, who spoke to audiences worldwide under the title “Never Again – for anyone”, including an event in 2010 in the H o C hosted by Jeremy Corbyn. Hajo Meyer, quote:- “The journalist who reports from Berlin for the Jerusalem Post, I think it’s Mr. [Weinthal], he has a spotlight on me. So I have the honor of being quoted as an anti-Semite or whatever in the Jerusalem Post, and I cannot get higher honors than to be one of the people like Jimmy Carter, or Noam Chomsky, or Norman Finkelstein, and former [Dutch] Prime Minister Dries van Agt. So I’m very proud to be an anti-Semite. New kinder politics Waited for outcome of Mark Wadworth hearing before joining. Then decided to wait for Jackies hearing. Still Labour but no intention of joining now. Be strong lovely lady. Agree. Shocked that this was able to happen. If Jackie Walker decides to take the LP to court, I would be very happy to contribute to the costs. This is a shocking and outrageous decision. Jeremy Corbyn must take a stand on this – if he weren’t leader, the witch hunt might well be arriving at his door too. What a sad day for all of us who hoped the LP would become a progressive force again. Why the future tense? The NCC has brought more odium on the Party than all those who have been accused of ‘bringing the Party into disrepute’. The Tories couldn’t have wished for better. But don’t resign. Get more to join and nail the culprits by ignoring unreasonable NEC diktats. In the end it’s the members who fund this excrescence. I am beginning to be embarrassed by my membership of the party. It needs to be pointed out that Jackie was expelled, not for anti-semitism but for alleged “prejudicial and detrimental” comments. What were these “prejudical and detrimental” comments? According to the Labour List report, a JLM spokesman complained that Jackie was “free to make a mockery of the party’s processes”. This was “during her long suspension” (a quote not attributed to the JLM spokesman but in the LL report). So party processes which began with accusations of anti-semitism which were ultimately not upheld, nevertheless are immune from criticism, because to object to them is to “make a mockery” and to do that is grounds for expulsion. This is a “disciplinary” process that generates its own evidence. Tom Watson and many others have a lot to answer for in dreaming up anti-Semitism. What real contribution has he made? I agree with the comments but if you want to see Labour shame try Diago Garcia or the Iraq War. Bringing the Labour Party to book is the heart of the Corbyn movement and as we get close the worse they’ll become. I hope people do not leave the party, rather stay and fight for justice. JC will make a good PM, and things do need to change. Jackie stood up to these people, such a strong person. She would not give up, I admire her for that. We will not give up the fight, for true socialism to win through, against those who pretend to be socialists ! Solidarity. So sad. Jackie is such an amazingly strong campaigner against racism. This is just such a disgrace! This is an unjust ruling . A disgrace & travesty to natural justice. All I can say I completely agree with the above statement & think this sets a VERY dangerous precedent. Who will be next one wonders. Not the way I imagined my Labour Party to behave. Feels like we are being held to ransom by the right of the Jewish community & their representatives in Parliament! Oh how close am I to resigning because of the elitists that have it seems an overall power above the general democratic membership. Having just looked at the JLM complaint about them being dropped as the training organisation on antisemitism, I would like to let people know that my LP branch invited them to talk to us but they never responded. We wrote a second time and again they did not reply. in a very flawed process. What was their reasoning? I am SO ANGRY about this – it’s a travesty!! It brings the party into disrepute!! The anti Zionists want to condemn Jews to another Holocaust. I have just read ‘Labour Lists’ announcement on this, and it reads as though Jackie was a ‘trouble maker’ who, through her interaction with social media, brought the Labour Party into disrepute. All I saw was a woman who wanted to point out how the process seemed weighted against the accused. I can tell you that many voices on line from her opponents were disgusting and that included tweets from prominent Labour members. Seems like folk fighting for justice have to remain silent whilst being abused unfairly from every quarter. I hope this system can be made better, in my opinion it’s not working in it’s present form. I don’t think we should accept the verdict. This is a political lynching. Marc Wadsworth and Jackie have been expelled to placate the right wing / Zionists. Leading Black members of the Party expelled for speaking out for the Palestinians and for exercising rights to Free Speech. There should be a speaking tour and an ongoing campaign to re-instate Jackie Walker. I am appalled and distressed by this decision and treatment of Jackie. I admire her integrity and her commitment to Labour Party, social justice, and peace in thd world. She has the couragd to stand uo fof her principles and speak the truth. Mor power to her elbow. By humiliating and alienating the most loyal members, Labour Party is trying to appease who? Friends of Israel? Who want to destroy the party to get rid of the leader who would not be bullied into submissions to the most ruthless regime in the world. Labour Party can get rid of as many of us they likd but Friends if Israel will not be appeased until you get rid of JC. They want nothing less and will stop at nothing less. I’d like us not to accept the verdict as well. Like others I’m feeling extremely upset. I’m trying to think how to raise this in my Branch/CLP where my last two Motions were seemingly blocked and it’s all very tricky. Jackie Walker’s ‘case’ is no longer’confidential’ (as if Margaret Hodges comments hadn’t already blown such a thing sky high) so a Motion calling for her re-in statement should , by rights, be allowed. And Chakrabati in her Report of Procedures recommends a “review”. And the LP has apparently accepted the Recommendations (but not implemented them). Anyway, I need to record my utter dismay at the truly deplorable lack of Due Process and Natural Law (Fairness) in the cruel lack of Hearing for Jackie Walker. It is expressly designed to crush hope and demoralise the membership – particularly the membership that joined to support Jeremy Corbyn’s socialism. The old guard right wing Blairites will be rubbing their hands with glee at our disappointment. A sadly predictable conclusion. She has been sacrificed for political expediency. They put her through a sham investigation, a process with this outcome the inevitable one. Believing in and supporting just causes should be the back bone of the Labour party. Jackie Walker has a strong back bone. Can The Labour Party as a whole, evolve from its jelly fish persona to stand up and be counted in the fight for social justice in Palestine and beyond? Totally agree with the JVL statement and would like to thank them. This orchestrated witch hunt is politically motivated to remove Jeremy Corbyn and anyone that supports him from getting into power. All of the people being targeted are brilliant and good human beings. It’s a disgrace that this is happening. Get these odious Israeli regime proxies, the NCC, LFI and JLM OUT OF OUR LABOUR PARTY NOW. Jeremy Corbyn and John McDonnell, you owe it to maliciously expelled and suspended members, Jackie Walker, Marc Wadsworth, Chris Williamson and Ken Livingstone to fight for and insist on their reinstatement. To do otherwise will make a mockery of your antiracist history and claim to be for the many, not the few. You are in serious danger of losing the respect and support of many members of the Labour Party especially those who joined on your being elected Leader. Walker, Wadsworth, Williamson and Livingstone are lifelong campaigners against racism. THEY MUST NOT BE MADE BE POLITICALLY EXPEDIENT SACRIFICIAL LAMBS. If anyone should be immediately expelled for bringing the Party into disrepute it’s your Machiavellian Deputy Leader, on-the-make-Watson. The irony of expelling a black Jewish woman for racism! – what could be more racist and discriminatory? I am disgusted with the way a decent human being and dedicated socialist like Jackie has been persecuted and expelled from the Labour Party. Shame on them! Since when has it been a principle that anyone, and especially socialists, should refrain from challenging unfair practices. This comment could have been written, word for word, by a Communist Party member at the height of the Moscow trials.. I wish all CLPs will now express their outrage with the increasing McCarthyisn in the party and demand the immediate reversal of this shameful decision as well as the immediate reinstatement of Chris Williamson, Asa Winstanley, Tony Greenstein, Moshe Machover and others who would not bow to the Zionists lobby. If this so called antisemitic fever is to be believed why are the perpetrators not named and shamed? We hear these claims day after day but we don’t hear names, the accused or whatever is alledged. Time to either put up or shut up. Completely agree. The entire process against Ms Walker smacks of the vilest racism. Accusations of ‘anti semitism’ against a Jewish person are ridiculous and absurd. Indeed a travesty of justice. Jackie not allowed to read out a statement in her own defence. The prosecution consisting of racist comments against her similar to the ones she was prohibited from quoting in her defence. Kafka is spinning in his grave, green with envy.